It’s true that older boilers waste a lot of energy and with Gas prices forever increasing it’s important that you get the most value from your boiler as possible. 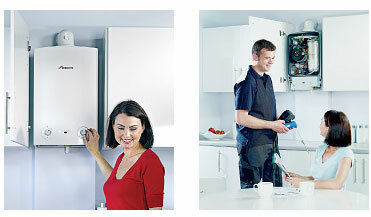 The latest modern condensing boilers run at over 90% efficiency! That’s a whopping improvement on a boiler that’s over ten years old, so much so that you could save over 30% on your home heating bills year on year. We offer a 7 year parts & labour guarantee on all new Worcester Bosch boilers we install you’ll probably save the installation fee by reduced gas bills over that time. We specialise in the speedy diagnosis and repair of all makes and models of boilers using manufacturer parts and all of our work carries a 30 day labour and 1 year parts guarantee. 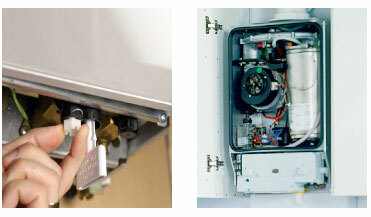 Ensuring that your boiler is serviced annually is an essential and wise precaution. A yearly service ensures that any warranty associated with your boiler is up to date and avoids the loss of manufacturer guarantees that could result in an unwelcome bill to repair. It is also a health check to make sure your boiler is working to its maximum ability and it makes sure that there are no Carbon Monoxide leaks which are extremely hazardous, potentially life threatening.